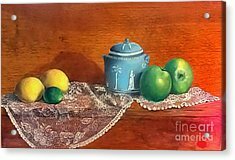 The Spice Jar is a painting by Patricia Lang which was uploaded on September 12th, 2015. 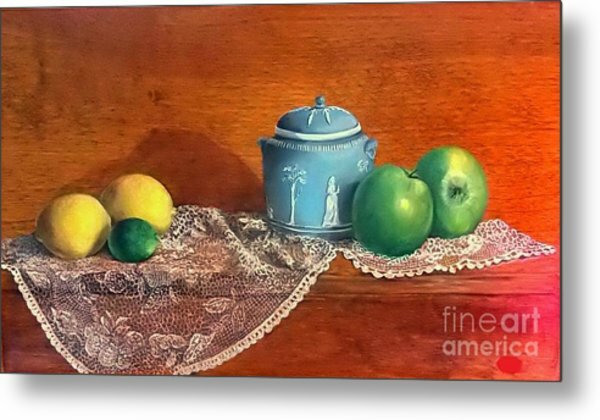 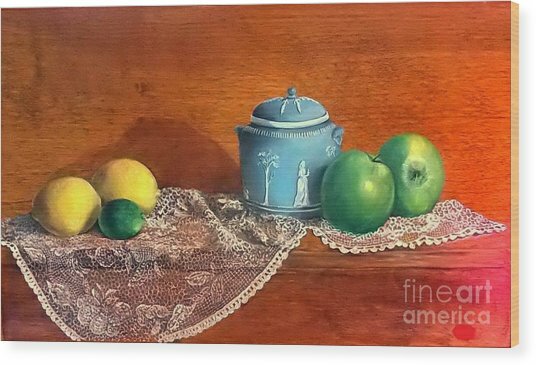 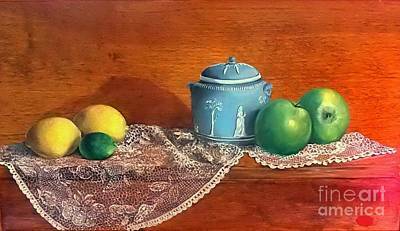 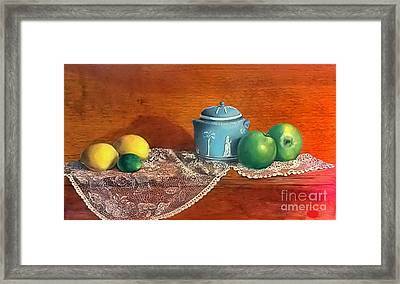 This still life allows the warmth of the wood to integrate and complement the painting of a blue Wedgewood spice jar, apples, lemons and a lime resting on a lace table cloth. There are no comments for The Spice Jar. Click here to post the first comment.